Before coming to AETN, Chuck Dovish was mainly known for his "Travelin' Arkansas" segments which aired on KTHV-Channel 11 for more than 25 years. 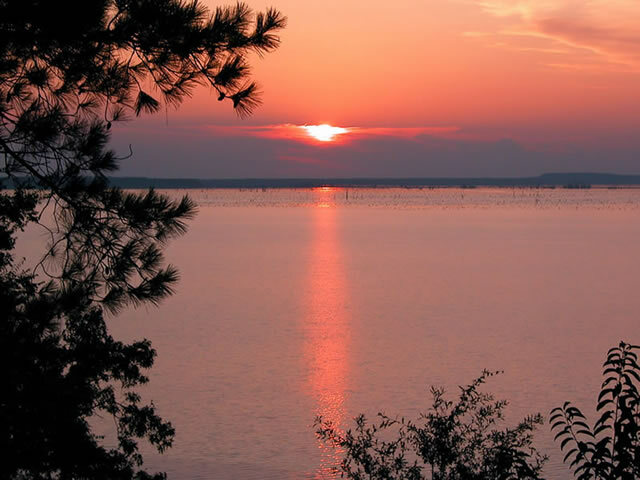 Since October of 2005, Chuck has been producing and hosting "Exploring Arkansas" which showcases all the high adventure the Natural State has to offer. 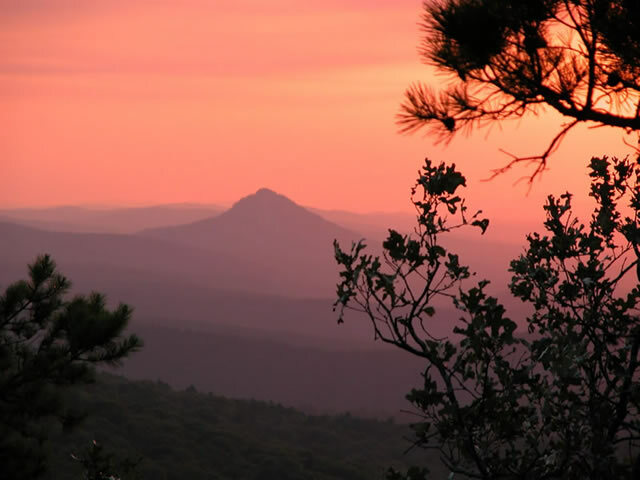 This one-of-a-kind program features the most breathtaking and spectacular sights in Arkansas. 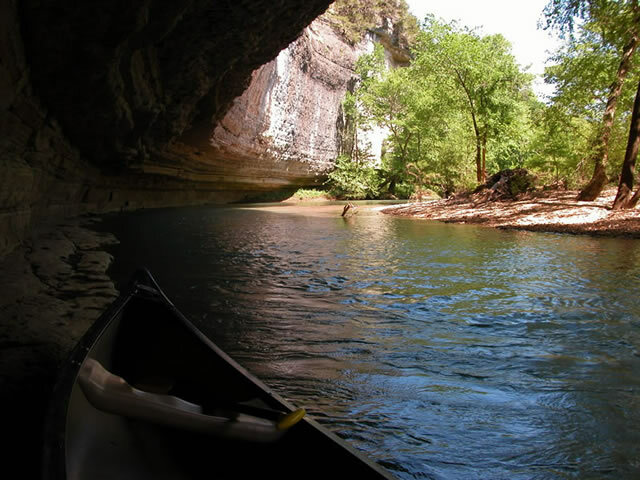 There's extreme adventure like hang gliding, kayaking, rappelling, rock climbing, wild caving and not to mention some of Arkansas's best kept secrets such as secluded and scenic waterfalls. Chuck has been exploring Arkansas for more than 40 years and continues to surprise and entertain viewers with his sights and subjects. His philosophy throughout the years has always been to illuminate the culture and heritage of Arkansas, in addition to conservation and preservation of the pristine outdoors of the Natural State. Exploring Arkansas was the 2009 recipient of the Sierra Club Conservation Award. Chuck says he's always trying to promote our great state in any way, shape or form that he can. Originally built during the old WPA days under President Roosevelt, Lake Atalanta in Rogers is undergoing a revitalization with a whole new generation enjoying its waters. Snake World just outside of Berryville is one man's creation with about eighty venomous and non-venomous snakes – that's much more than at the Little Rock Zoo! Dardanelle Rock and Council Oaks are two historic landmarks along the Arkansas River. One is a lookout point and Natural Area, and the other is where a treaty was signed under two towering oak trees, in which the Cherokees gave up their lands south of the Arkansas River. 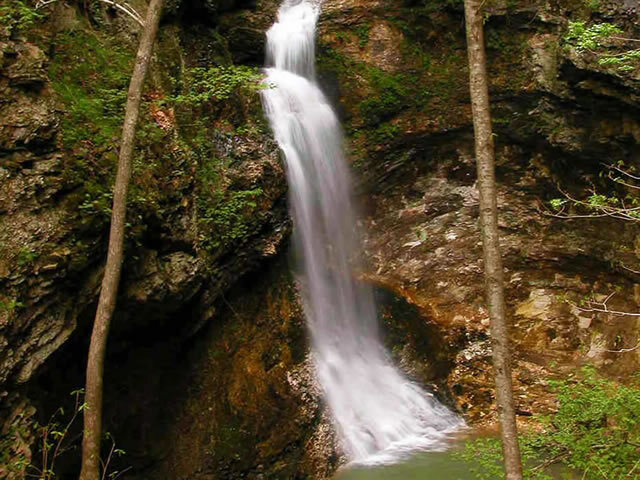 The ATV trails in Fairfield Bay provide high adventure, and lead to some scenic waterfalls. Bull Shoals-White River State Park offers some of the best snorkeling opportunities in Arkansas. Park interpreters provide gear and instruction to explore first-hand the lake's fish, rocks and plants. The Beckham Creek Cave House was first featured on Lifestyles of the Rich and Famous. But, there's another side to it – the wild side, which has uncovered some unknown cave species within its depths. The Strawberry River has one of the greatest concentrations of aquatic biodiversity in North America. 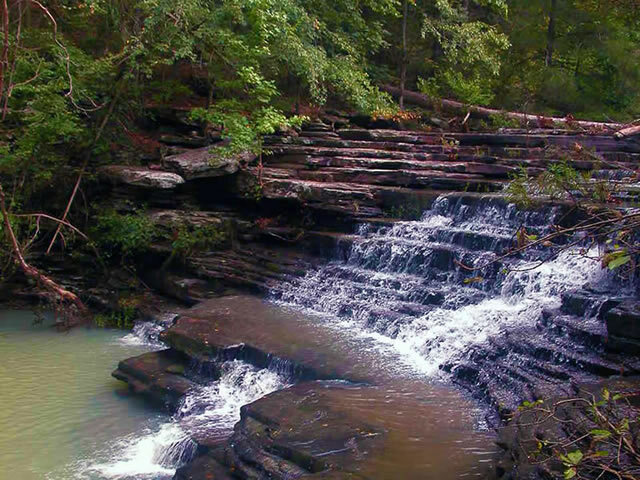 The stream's upper section has been designated as an Arkansas Natural and Scenic River. It's also a Preserve with The Nature Conservancy, whose motto is –"Saving The Last Great Places On Earth." Coming from Kentucky, Tennessee and Virginia "planters" began arriving in Arkansas during the early 19th century to grow the king of all crops –cotton. The stately homes these planters built with their unique architectural style, exemplified that plantation era steeped in southern history. Through these plantation homes of Arkansas, visitors can experience the plantation culture which illuminated the rich historical and cultural heritage of the American South – the habits and traditions of its people, along with the triumphs and tragedies of its past – all preserved to come alive for present and future generations. Resembling the Jetsons flying car…the 21st century gyroplane is a personal aircraft that's currently being sold in more than forty countries. We take a test "drive" in one, zooming through the Ozarks. Artist Point along Hwy 71 north of Mountainburg offers one of the most spectacular views in NW Arkansas. The trail leads hikers to Artist Point Falls. The Lower White River Museum State Park in Des Arc portrays the vital role of a river-based economy as pioneers and early settlers migrated west. Blue Spring Heritage Center near Eureka Springs is the second largest spring in the state. It's also the location of an Ozark bluff shelter, whose inhabitants occupied the site some 10,000 years ago. The spring and the shelter are along the path of the Trail of Tears. An Ozark snowfall creates a glorious picture postcard scene near Anvil Rock, overlooking the Mulberry River northwest of Ozark. Winter's sub-zero temperatures transform the trail leading to Glory Hole Falls into breathtaking views of ice and flowing water. The Grant County Museum in Sheridan contains ten galleries plus an outside Heritage Square, that traces the county's development from pre-historic times to the present..and then some. Episode concludes with a "snow float" along Crooked Creek near Harrison, observing winter wildlife. Some of Arkansas's most notorious and scariest places are featured in this special edition of Exploring Arkansas – the Crescent and Basin Hotels in Eureka Springs, the Allen House in Monticello, MacArthur Museum of Arkansas Military History in Little Rock, King Opera House in Van Buren and the Peel Mansion in Bentonville. 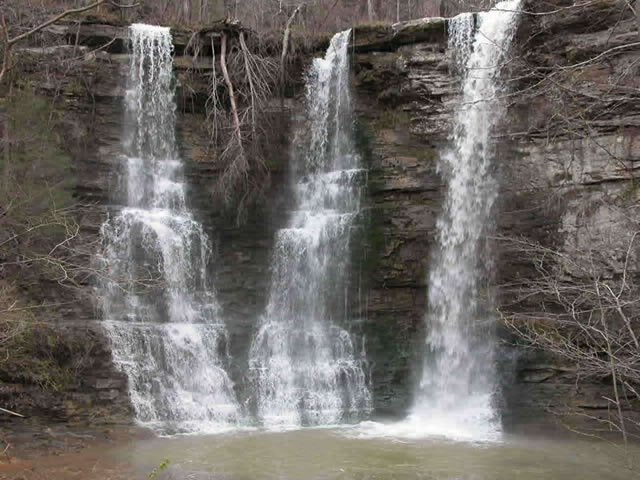 Chuck's Blog - "Exploring Arkansas: April 2019"
From waterfall exploration and going back to “old school” learning to touring an antebellum home in El Dorado and discovering the secret to Searcy’s success story – it’s all on the next edition of “Exploring Arkansas”! Being chased by dinosaurs, trying to keep a balance on a popular wobbling rock, descending into Blowing Cave, learning the art of banjo building and observing the white pelicans on Lake Conway – it’s all coming up in a brand new edition of “Exploring Arkansas,” Wednesday, March 6, at 6:30 p.m.
Dodging the namesake residents at Rattlesnake Ridge, hanging out at a historic bus depot in Blytheville, being serenaded by trumpeter swans in Heber Springs and swinging a hammer at America’s Blacksmith Shop in Mountain View – it’s all on tap during a brand new edition of “Exploring Arkansas,” Wednesday, Feb. 6, at 6:30 p.m.
Fiddling around in Mountain View; going back to the “Three R’s” in a restored, one-room school house; taking an autumn drive; mountain biking at Illinois Bayou Park and enjoying a nice, big juicy burger at A&A City Café in Parkin – it’s all coming up during a brand new episode of “Exploring Arkansas,” Wednesday, Jan. 2. Chuck's Blog - "Exploring Arkansas: December 2018"
This month on "Exploring Arkansas," meet bluegrass prodigy Mary Parker, check out Village Creek State Park's kayaking and fishing opportunities, visit Walnut Ridge's Wings of Honor WWII Museum and investigate Y City's boulder "erratics." It's all coming up in a new episode Wednesday, Dec. 5, at 6:30 p.m.
From hiking a picturesque trail overlooking the Little Red River in Heber Springs, to visiting with a wooden boat builder in Bentonville, to spending time with students at DeSoto Bluff overlooking the Ouachita River in Arkadelphia, to learning about a Civil War skirmish at Reed’s Bridge Battlefield Heritage Park in Jacksonville – you won’t want to miss the next brand new edition of “Exploring Arkansas” airing Monday, June 2, at 6:30 p.m.
Spring is here! 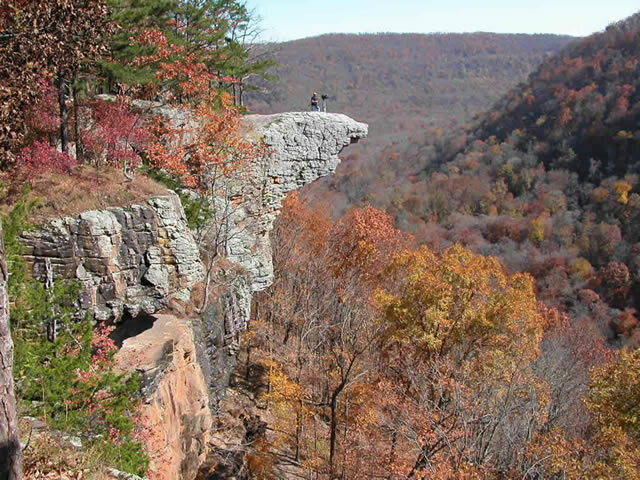 Make the most of season with "Exploring Arkansas." The sun's shining, the flowers are blooming and these balmy temperature make it easy to enjoy Arkansas's great outdoors! 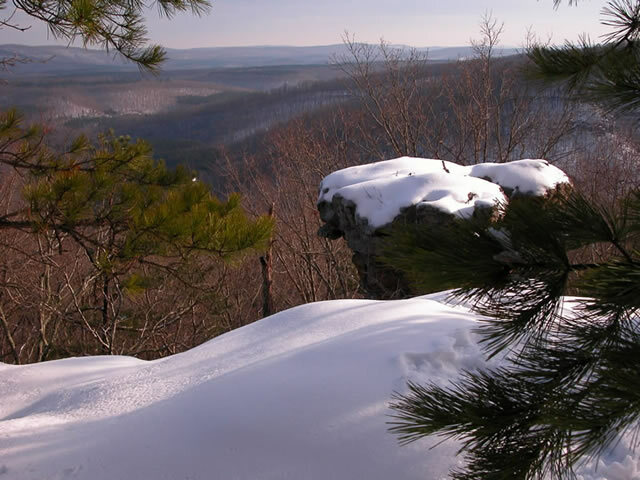 Shake off the winter blues and get ready to discover the wonders around you with the "Exploring Arkansas" website. From Chuck Dovish's top 10 favorite places to a search feature that lets you find sights and activities near you, we have everything you need to plan your own adventure! 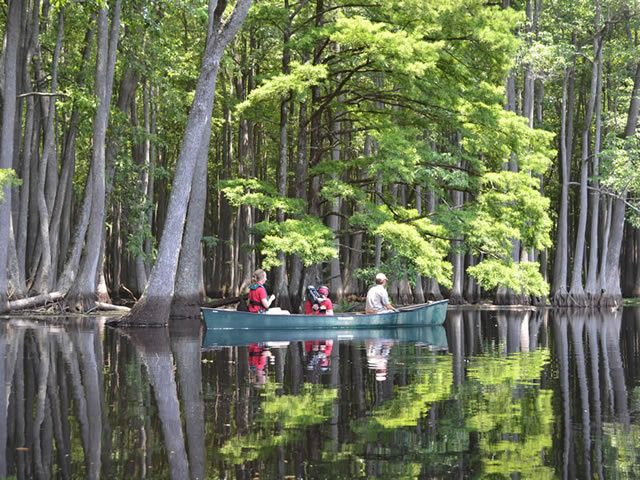 Two years in the making, our one-hour documentary on the worlds longest bayou  Bayou Bartholomew is finally set to premiere on AETN Thursday, March 14, at 6:30 p.m.
Monday, Jan. 7, at 6:30 p.m. "Exploring Arkansas" is going to do what definitely can be done: take you down the Ozark Moonshine Run, which forms a 110 mile loop south of Harrison, utilizing six state highways. Now, while running into some white lightning is highly unlikely, you will experience what many travelers refer to as the most picturesque route in northwest Arkansas, since part of the drive takes you along a couple of the less traveled roads in that part of the state. They came to Arkansas from Kentucky, Tennessee and Virginia to the rich river soil of the Delta. “Planters” arrived to grow the king of all crops – cotton. The stately homes these planters built with a unique architectural style, steeped in Southern history, exemplified the plantation era. Experience the plantation homes of Arkansas that have not … gone with the wind ... Monday, Dec. 2, at 6:30 p.m.
For a guide to the outdoors in Arkansas, AETN has a brand new "Exploring Arkansas" website where you can plan your next trip by searching by season, region, or activity at home or on the go using your mobile device. Check out Chuck's 10 favorite places, view a photo gallery and more. To get you excited about your outing, you can also watch any of the past 250 and current episodes. 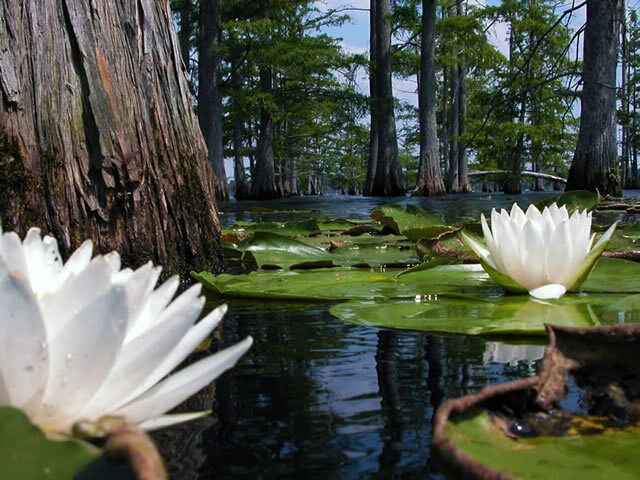 Chuck’s Blog — August “Exploring Arkansas” is a Watery Adventure! Our brand new “Exploring Arkansas” episode for August 4 includes a dream come true for an 88-year-young woman who has wanted to float the Buffalo National River. 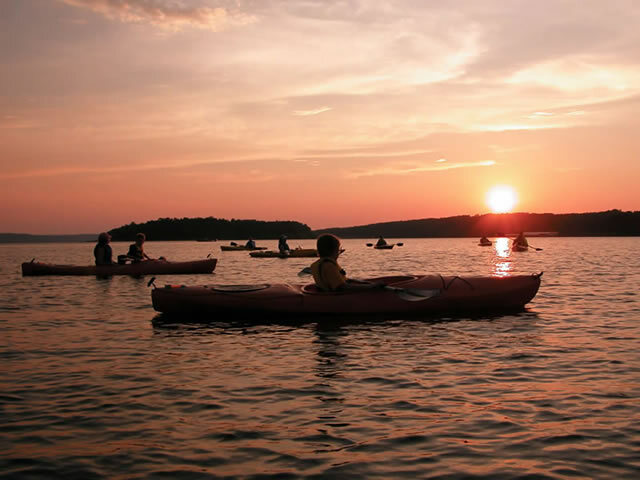 There’s also kayaking and tubing adventure at a whitewater recreation park near Siloam Springs and a dive into the ol’ swimming hole at the Longpool Recreation Area near Dover. From zooming around in a George Jetson-type auto gyro…hiking to Artist Point Falls…to visiting a bluff shelter where ancient Ozark Bluff Dwellers once called home – all this and more is in store during a brand new episode of "Exploring Arkansas" Monday, Jan. 6, at 6:30 p.m. Celebrate Labor Day with a new "Exploring Arkansas"
Flowers, butterflies, vineyards and zipping along on one of the top zip lines in North America is what we have for you during the brand new Labor Day episode of "Exploring Arkansas," Monday, Sept. 2 at 6:30 p.m.
You can re-trace the longest stagecoach route in the history of the world  by driving a portion of it through northwest Arkansas by way of the Butterfield Heritage Trail. Another gem of a hiking trail that's hardly been publicized until now, is the one that loops around Lake Alma in the town of Alma. A unique mountain biking experience along Crowley's Ridge can be enjoyed at Village Creek State Park north of Forrest City. Hiking and blue-ribbon smallmouth bass fishing are offered at the Conservation Education Center along Crooked Creek near Yellville. 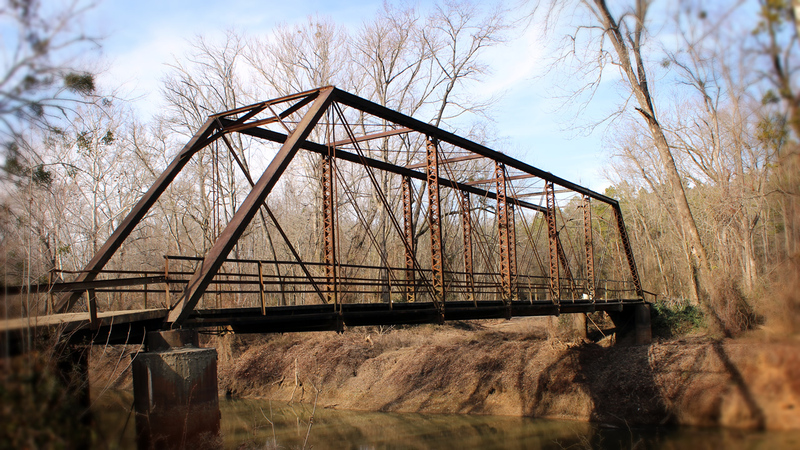 Join us for a brand new episode of "Exploring Arkansas" on Monday, May 5, at 6:30 p.m. as we take you to Mulberry Valley Falls, the daffodils at Wye Mountain, fly-fishing for trout on the Little Red River and to something called the Natural Bridge of Arkansas. Exploring Arkansas in HD  premieres Jan. 2 and includes trips to some truly unexpected places you cant always find in Arkansas. And believe me, you wont want to miss Chuck in a pirates shirt. What struck me is how appropriate it looks on him. A previous life as a pirate explorer me thinks? Im not too sure Im that far off with that one mateys. And now shot in HD, even more beautiful. Can’t visit the Grand Canyon in Arizona? Well, then, visit the Grand Canyon in Arkansas! 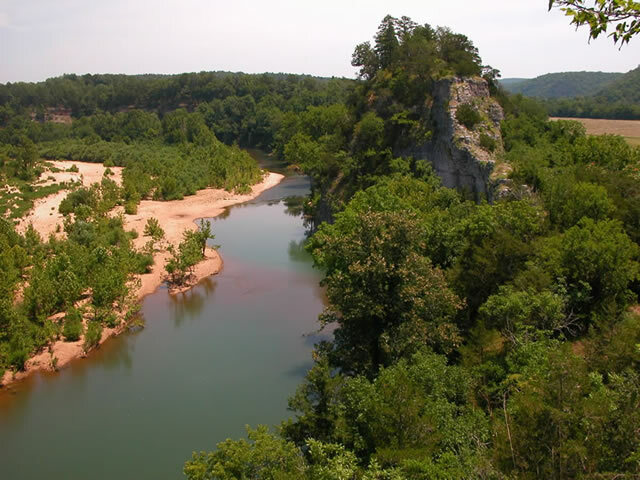 That’s right – during a brand new episode of “Exploring Arkansas” on Monday, July 7, at 6:30 p.m., you can experience what is known as “Arkansas’ Grand Canyon,” south of Jasper, a float trip down the Mulberry River, a mountain biking frenzy along the Earthquake Ridge Trail and the St. Joe Railroad Depot's history. 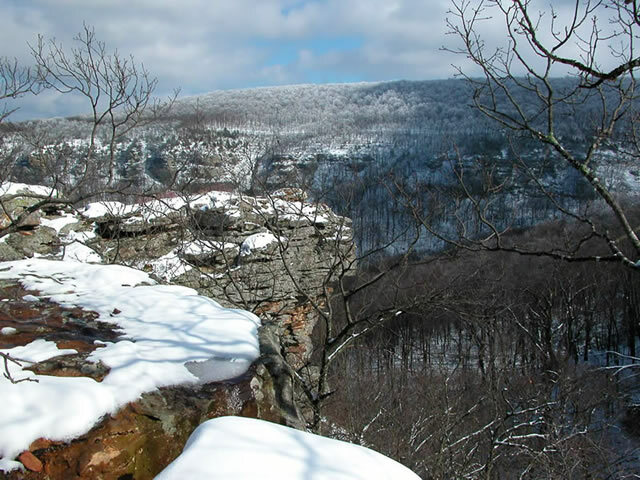 From a snowy river overlook, to an icy waterfall, to a “snow float” – the beauty of an Ozark winter will be featured during the latest “Exploring Arkansas” episode Monday, Feb. 3, at 6:30 p.m. Learn more about our visits to the Mulberry River, Glory Hole Falls, Crooked Creek and the Grant County Museum after the jump. If youd like to get a jump on the upcoming float season…check out our brand new Exploring Arkansas episode on Monday, February 4. In the first segment well take you down War Eagle Creek north of Huntsville near Withrow Springs State Park. 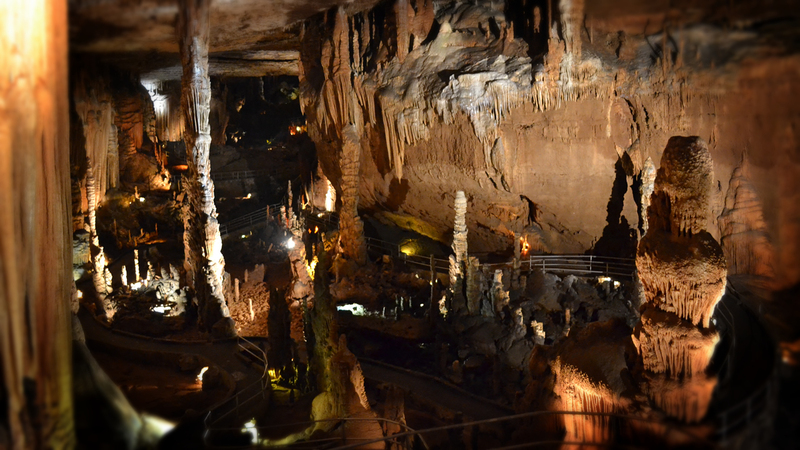 Also, join us to explore Blanchard Springs Caverns, the Petit Jean River WMA and newly discovered waterfalls near Ozark, Ark. Summer Fun With New "Exploring Arkansas"
Coming up Monday, Aug. 5, at 6:30 p.m., another brand new episode of Exploring Arkansas will take you for a dip in an Ozark swimming hole, back in time along the Mississippi River to an old plantation site, fishing along the Little Buffalo River in Jasper and taking in several of the Wildflower Routes throughout The Natural State. During a brand new Exploring Arkansas episode coming up on Monday April 7, join us as we go on a falconry outing, visit Marble Falls and Standing Rock, and then close it all out by taking you down on the levee – as in the Mississippi River levee. Watch it on Monday, April 7, at 6:30 p.m., and keep reading for a sneak preview! Monday’s brand new EA episode will take you mountain biking along beautiful De Gray Lake near Arkadelphia, going back in time at Historic Washington and taking in the gorgeous views along Yellow Rock Trail at Devil’s Den State Park. Get the details about our July 1 episode after the jump! Ever wondered…hmmm…..what it would be like to hang out with Chuck during one of his grand adventures around the Natural State? Heres your chance to sign up for a chance to take your family to meet him in person and enjoy an outing to one of Arkansass plethora of beautiful vistas, trails, historic places, or parks. Sign up online before April 30! It doesn’t happen too often but, lo and behold, we have five full segments coming up for you in our Nov. 7 “Exploring Arkansas” episode! Keep reading to learn more about our stops at Ritter Farms in Marked Tree, Garvan Woodland Gardens’ outstanding new treehouse, Lee Creek Reservoir Recreation Area, La Petite Roche Plaza and Shoal Bay Park. There's great stuff coming up for "Exploring Arkansas" in October! For those of you who have a big hankering for more of our show, starting Oct. 1, we have new air times for extra adventure on weeknights at 10. Then, at 6:30 on Oct. 3, we’ll visit the newest state park facility in Wilson and take you back to the year 1400, discover some hidden gems, test some fabulous Italian cooking and more in this month's new episode! From exploring one of the latest Nature Conservancy preserves and enjoying Pogue Springs to touring Historic Cane Hill and devouring a “Big Pig” at the Susie Q Malt Shop drive-in at Rogers – it’s all in the new edition of “Exploring Arkansas” Wednesday, Aug. 1, at 6:30 p.m.! Exploring a crevasse wonderland, rafting on the Mulberry, strumming on a few cowboy guitars; floating on a Nature Conservancy preserve and taking a look back on the Lake Conway monster mystery – it’s all coming up in a brand new episode of “Exploring Arkansas” on July 4! Exploring life-size sandstone castles, playing with the ultimate model train set, spending time with the “Fiddleman” in Bentonville and hiking to Big Creek Cave Falls – it’s all coming up in a brand new episode of “Exploring Arkansas,” Wednesday, June 6. Enjoying the peaceful tranquility at Bard Springs National Recreation Area in the Ouachita National Forest; checking out some classic cars at the Four States Auto Museum in Texarkana; visiting the barbershop where Elvis got his GI haircut; and having a Moon Pie at a restored 1930s country store south of Heber Springs – it’s all coming up in a brand new episode of “Exploring Arkansas” Wednesday, April 4, at 6:30 p.m. 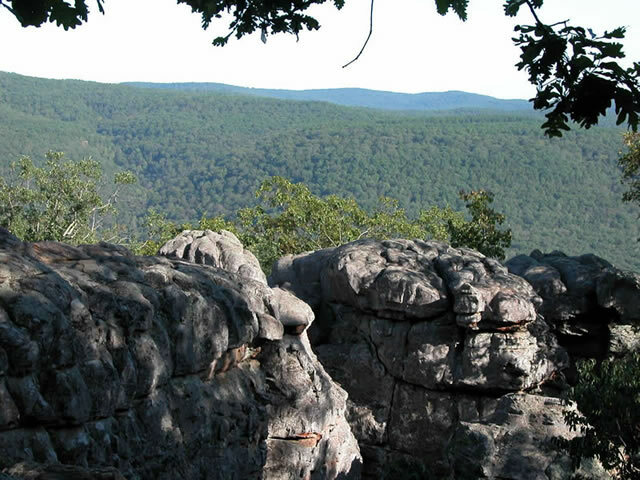 Your carriage ride to the castle awaits; the sheer rock walls at Jamestown Crag beckon your climb; more than meets the eye at the ASU museum; and the oldest continuous town in Arkansas just may surprise you! 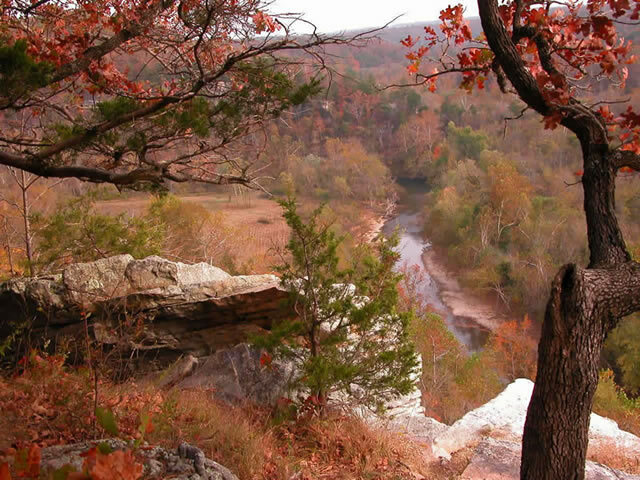 It’s all coming up in a brand new edition of “Exploring Arkansas” Wednesday, March 7, at 6:30 p.m.! Taking a flight back in time aboard a B-17 “Flying Fortress”; being mesmerized at Red Bluff Overlook along the Buffalo National River; taking a stroll through Historic Calico Rock and experiencing early America at the White County Pioneer Village in Searcy – it’s all coming up in a brand new “Exploring Arkansas” episode, Wednesday, Feb. 7, at 6:30 p.m.! 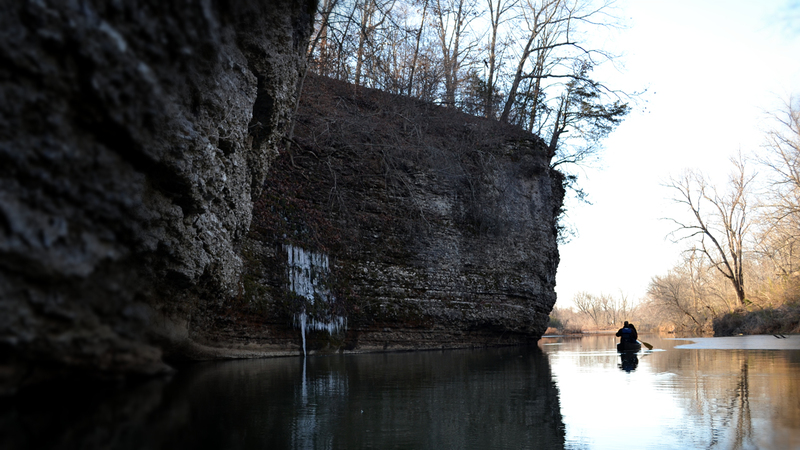 Fishing for world-class trout on the White River; digging for crystals at the World Championship Quartz Crystal Dig; taking a back roads tour between Little Rock and Memphis; and enjoying fine Mexican cuisine at a place you wouldn’t expect – it’s all coming up during a brand new episode of “Exploring Arkansas” on Wednesday, Jan. 3, at 6:30 p.m.! Experiencing the open bazaar and market of the Beebe Flea Market; visiting with the man who was on the last C-130 to fly out of Viet Nam, which happens to be on display at the Little Rock Air Force Base; spending time where the buffalo roam; and taking a flying leap (well, not exactly) at Lovers Leap Trail atop Rich Mountain: it’s all coming up in a brand new episode of “Exploring Arkansas” Wednesday, Dec. 6! Fall is in the air, and The Natural State’s true colors are starting to show! “Exploring Arkansas” fans who share their favorite fall photo have could win a great jacket from the show for their next autumn outing. 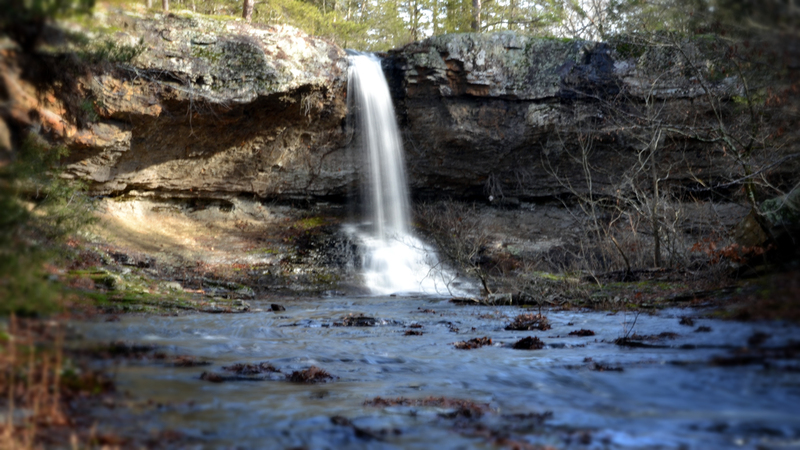 Submit your photo in the “Exploring Arkansas” Facebook contest by noon on Nov. 30 for a chance to win! Taking a stroll down automobile memory lane at the Museum of Automobiles, watching a former world champion chainsaw carver at work, taking a hike along the Spadra Creek Nature Trail in Clarksville and having a Coke float at the soda fountain in the oldest drugstore in the state in Pocahontas: it’s all coming up during a brand new edition of “Exploring Arkansas” Wednesday, Nov. 1, at 6:30 p.m. Taking a dip in the cool waters of the Buffalo National River, making like a bear and getting honey from a beehive, learning about the Ozark Hellbender Salamander and taking another dip at the Silver Bridge Swimming Hole on the Mulberry River: it’s all coming up during a brand new episode of “Exploring Arkansas” Wednesday, Oct. 4. Exploring a cave full of salamanders; visiting the Scott Plantation Settlement; going fishing for gar; and getting up close with snakes, bugs and everything else at an ecology camp – it’s all coming up during a brand new edition of “Exploring Arkansas” on Wednesday, Sept. 6. Hiking through the breathtaking Marinoni Scenic Area, hanging out with the precision riding team known as the “Old Fort Days Dandies,” fiddling around at the Arkansas Fiddlers Convention and visiting the Birdhouse Capital of America – it’s all coming up during a brand new episode of “Exploring Arkansas” on Wednesday, Aug. 2. Reliving the Doolittle Raid with a Marine B-25 “ghost” plane, hiking to Rattlesnake Falls in the Ozark National Forest, visiting the historic town of Leslie, attending the World Championship Steak Cook-Off in Magnolia and mountain biking along the Pigeon Creek National Recreation Trail along the shores of Norfork Lake near Mountain Home – it’s all on the next brand new edition of “Exploring Arkansas,” Wednesday, July 5, at 6:30 p.m.
Frolicking throughout Camden’s millions of daffodils, getting a haircut in the oldest barbershop in the nation, attending the Arkansas Outdoor School and having lunch at the iconic Pickens Store and Restaurant: it’s all coming up during a brand new edition of “Exploring Arkansas,” Wednesday, June 7. Experiencing Conway’s unique Cadron Settlement Park, digging for quartz crystals near the Quartz Crystal Capital of the World, exploring the long lost resort town of Monte Ne along the shores of Beaver Lake, and floating Grassy Lake at the Bell Slough Wildlife Management Area near Mayflower – it’s all coming up during a brand new episode of “Exploring Arkansas” on Wednesday, May 3! Observing bald eagles, hiking to a Native American bluff shelter with a historic spring, visiting the oldest log structure in the state and chowing down on some famous hot tamales – it’s all coming up in a brand new edition of “Exploring Arkansas” Wednesday, April 5! 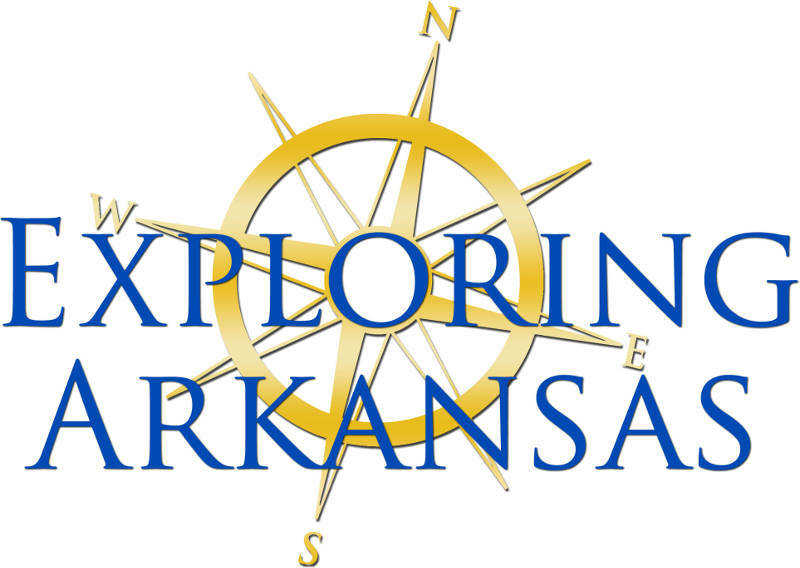 From a cast iron cook off and driving along the Pig Trail Scenic Byway to hiking the Black Fork Mountain Trail and learning about the pioneers who farmed the Grand Prairie of Eastern Arkansas, it’s all in the next edition of “Exploring Arkansas,” airing Wednesday, Feb. 1, at 6:30 p.m. Experiencing folklife in the Ozarks from long ago, enjoying a backyard railroad like none other, taking a drive along the Ozark Highlands Scenic Byway, and teaming up with a mule team wagon train – it’s all coming up in a brand new episode of “Exploring Arkansas” Wednesday, Jan. 4! Alligators, a recreated 19th century village, a Native American bluff shelter with petroglyphs that happens to be on a golf course, and a five-star restaurant in the middle of nowhere? It’s all coming up in a brand new edition of “Exploring Arkansas,” Wednesday, Dec. 7, at 6:30 p.m.
Coming up Nov. 2 in a brand new “Exploring Arkansas” episode, we’ll take you from one historic swinging bridge near Mountain View to another one in Beaver, check out some unusual fairy tale sculpture/architecture near Eureka Springs, visit the oldest church in Arkansas near Searcy, and look back to the day folks in Paragould thought they were experiencing the end of the world. From crappie fishing to taking a cool dip in an Ozark swimming hole to chomping down on one of the South’s prized coconut cream pies — it’s all coming up (and then some!) in a brand new episode of “Exploring Arkansas” on Wednesday, Sept. 7, at 6:30 p.m.
From pickin’ and grinnin’ at the Arkansas Folk Festival … to visiting an Ozark paradise complete with cabins and waterfalls…to visiting a town which was once called “Arkansas’s Dream Town”— it’s all coming up in a brand new edition of “Exploring Arkansas,” Wednesday, July 6, at 6:30 p.m.
A dream castle, the re-opening of a 1905 general store, a moonshiners cave by the falls and enjoying a huge hubcap burger – it’s all coming up in the next brand new episode of “Exploring Arkansas” Monday, Feb. 1, at 6:30 p.m.
Take the old poodle skirt out of mothballs, get out the butch wax for that flat top haircut and shine up the chrome on the ‘57 Chevy, ‘cause we’re taking you to back to the drive-in during a brand new episode of “Exploring Arkansas,” Monday, Oct. 5, at 6:30 p.m.
Coming up in a brand new episode of “Exploring Arkansas” on Monday, Aug. 3, we'll explore the outdoor world in a fascinating way with a new addition at Mid-America Science Museum, take a dip in the "Shine Eye" swimming hole, visit the 20th Century Doll Museum and stop by the Potts Inn! 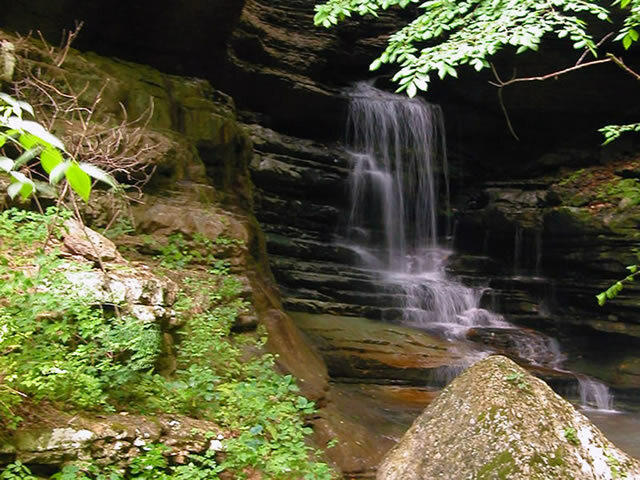 The Natural State’s newest scenic byway, an impressive twin waterfall, one of the South’s most famous grist mills and a picturesque backpacking trail in the Ouachita National Forest – they’re all in store for the latest edition of “Exploring Arkansas” coming up Monday, June 1, at 6:30 p.m.! Coming up in a brand new “Exploring Arkansas” episode for May 4, we’ll hike to one of the largest natural stone bridges in the state, shoot some arrows with a primitive bow maker and get a taste of heaven on the palate with a family whose maple syrup gathering spans six generations. Coming up in a brand new episode of "Exploring Arkansas" on Monday, April 6, at 6:30 p.m., we’ll visit and jam with Arkansas’s Fiddle Queen, take you to view bald eagles along the White River near Bull Shoals and introduce you to the original duck dynasty. Reliving the lifestyle and adventure of the American frontier, going on a photography outing along the Mulberry River in autumn and restoring wagons of the Old West – it’s all coming up during a brand new “Exploring Arkansas” episode on Monday, Feb. 2, at 6:30 p.m.! The first new “Exploring Arkansas” for 2015 includes fly-fishing with a world champion gold medalist, float-fishing for smallmouth bass and spending time with a log master craftsman – all coming up Monday, Jan. 5, at 6:30 p.m.
From 4-wheeling atop Mt. Magazine, to attending the South’s largest craft fair, to touring a historic Victorian mansion, to taking a drive along the “Take Your Breath Away” scenic route — it’s all coming up during a brand new episode of “Exploring Arkansas” on Monday, Jan. 4, at 6:30 p.m.
From Pivot Rock to Rock ‘n’ Roll Highway 67 and everything else in between – the brand new Labor Day edition of “Exploring Arkansas” promises to give you some great ideas to get out and explore The Natural State during this holiday period. Tune in Monday, Sept. 7, at 6:30 p.m.
Wednesday evening, April 6, marks the start of a brand new night for “Exploring Arkansas” with a special new episode that stops into Osage Clayworks, the National Park Aquarium, Arkansas Living Treasure Lorrie Popow’s studio and the Palarm Creek Waterfowl Rest Area. Join us to kick off AETN’s Think Wednesday programming (and stay after with great episodes of “Nature” and “NOVA”) at 6:30 p.m. The Arkansas Sphinx, big bass on little Lake Atkins, and life at Subiaco Abbey and Academy – it’s all coming up in a brand new Exploring Arkansas episode Monday, July 6 at 6:30 p.m.
“To the Bat Cave, Robin!” That was a classic line in the old “Batman” TV series, and we visit Batesville to go there - in a sense - and then make stops at Gravity Hill, the Josephine Tussaud Wax Museum and Mount Magazine in a brand new episode of “Exploring Arkansas”! Come with us on Wednesday, May 4, at 6:30 p.m.
Chuck's Blog - October "Exploring Arkansas"
Aircraft from the Golden Age of Aviation, visiting the place where the “man in black” grew up, and wild and woolly rawhide adventure racing chuckwagons – it’s all on the next brand new episode of “Exploring Arkansas,” Monday, Oct. 6, at 6:30 p.m. Ever get stuck between a rock and a hard place? Well, in a brand new episode of “Exploring Arkansas” on Monday, Nov. 2, I found myself in exactly that kind of predicament during a mountain bike outing in Fayetteville. From walking on water, to mountain biking, to mountain man trout fishing to taking a dip in not one but two refreshing swimmin’ holes – it’s a great way to travel the Natural State in a brand new episode of “Exploring Arkansas” on AETN! Coming up in a brand new edition of “Exploring Arkansas,” we’re seeing how restoring murals is revitalizing a town’s history and art; reliving Ozark history by experiencing the lifestyle in early pioneer historic buildings; finding out about the “white” in White Cliffs Natural Area and trying not to “shoot my eye out” at the Daisy Airgun Museum. Watch with us in the premiere on Wednesday, March 1, at 6:30 p.m. There are ghost stories, and then there are GHOST stories! Just in case you didn’t know it, Arkansas happens to allegedly be quite haunted! Yes, ghost stories abound everywhere and on Wednesday, Oct. 5, at 6:30 p.m. in a special edition of “Exploring Arkansas,” we’ll bring it all to you in “Hauntings of Arkansas”!